At the height of the AIDS epidemic, the rate of HIV infection among Asian-Pacific Islanders was the fastest growing among all ethnic groups, and yet there were no prevention and education programs targeting them in Massachusetts. 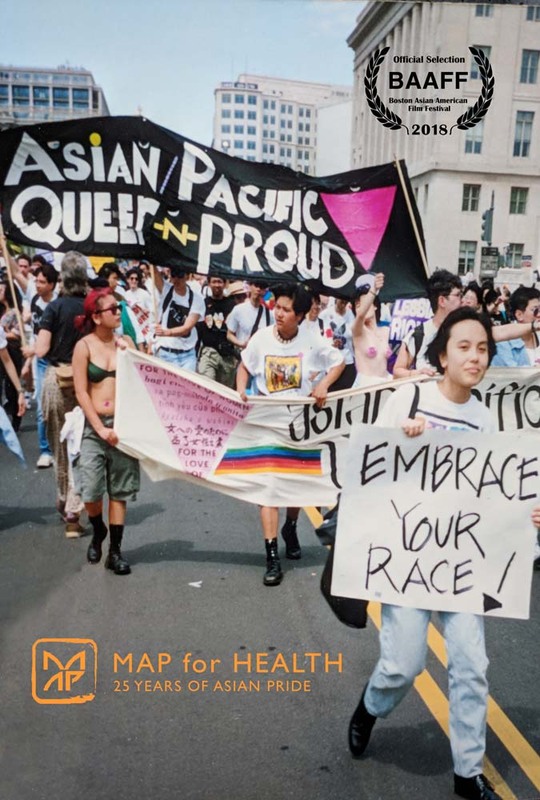 MAP for Health: 25 Years of Asian Pride tells the story of a group of young Asian-Pacific Islanders who banded together in a grassroots effort to address a critical, unaddressed need in the Massachusetts Asian-Pacific Islander community during the AIDS crisis, and how the organization has evolved over the years, at one point with a full-time staff of ten, expanding and shifting its focus along the way. It is an inspirational example of how Asian-Pacific Islanders can pool their passion, talents, and resources together to accomplish something incredible and long-lasting. 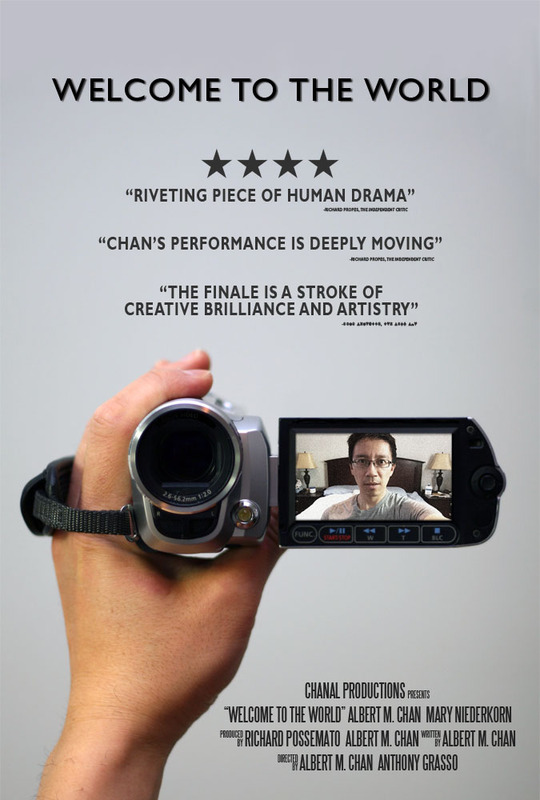 "Packs a huge punch... to create such an impact on a viewer in only seven minutes with just one man, a script and a camera certainly speaks volumes of the skills that Chan has as a director, writer, and performer" (Rachel Pullen, UK Film Review). Shot on an iPhone in one continuous 7-minute take and made for less than $140, Welcome to the World is a daring film about a troubled man who records a video message for his pregnant sister. Taking place on the brink of a new life, this compelling film explores what it means to be human and the courage it takes to be fully alive. Drawing its power and immediacy from its first-person, confessional style, Welcome to the World presents, in real time, the journey of one man's awakening from isolation back to humanity. "The finale is a stroke of creative brilliance and artistry" (Kirk Fernwood, One Film Fan). Golden Globe®, Emmy®, and Drama Desk nominee Tina Chen (Three Days of the Condor) and Albert M. Chan (Ghosts of Girlfriends Past, Law & Order SVU, 30 Rock) star in this moving story of a multi-generational Asian-American family, and the incredible bond between them all that transcends both time and national boundaries. Andrew (Chan), the son of Chinese immigrants, is about to become a father to a baby girl. Before she is born, however, Andrew desperately needs to understand how his mother (Chen) and her own father could have lived apart for most of their lives. 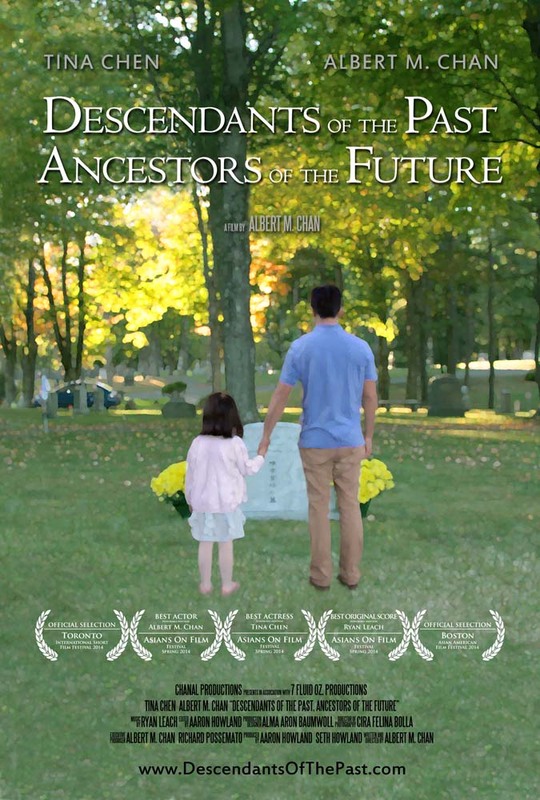 Embodying the authentic voice and depiction of an Asian-American immigrant family, Descendants of the Past, Ancestors of the Future is an emotionally powerful film with strong performances by a remarkable cast. "While any description of this movie will sound trite and simple, there's nothing simple about this film. Filled with a depth of emotion, The Commitment is really a tale of love and what you'll go through for it" (Brian Morton, Rogue Cinema). 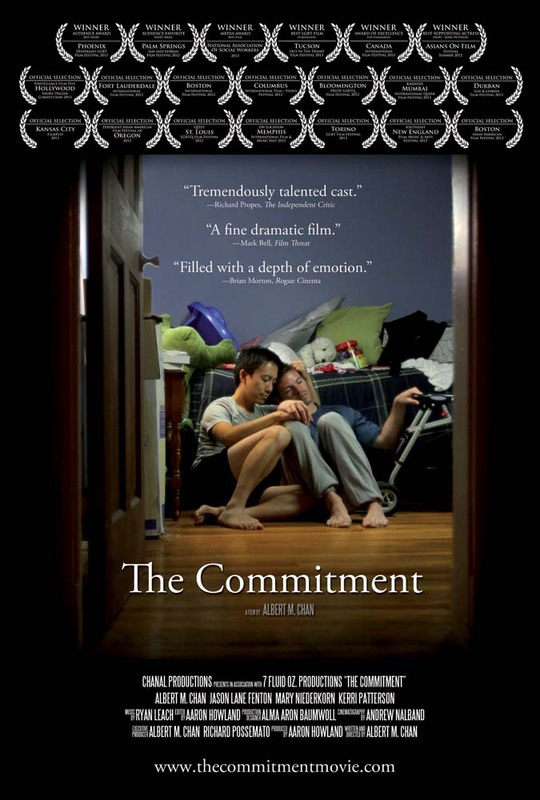 Inspired by real events, The Commitment stars Albert M. Chan (Ghosts of Girlfriends Past, Law & Order SVU, 30 Rock) and Jason Lane Fenton as Robert and Ethan, an interracial gay couple who have been chosen from a pool of hopeful adoptive parents by Victoria (Kerri Patterson), a shy and very pregnant Asian birthmother. Susan (Mary Niederkorn), the adoption social worker who facilitates their first meeting, helps the trio navigate through the awkward but often times humorous discussions of race, sexual orientation, and outlandish baby names. Gradually, Victoria begins to open up and eventually forges a bond with Robert and Ethan. When the unexpected happens, however, Robert's neuroticism and Ethan's anxiety about fatherhood threaten their relationship. Embodying the authentic voice and depiction of a committed gay couple amidst the world of adoption, The Commitment is "a 20-minute film with a feature-length film worth of emotional resonance, joy and heartbreak...indeed, this is a film that would be difficult to pull off if not for its tremendously talented cast" (Richard Propes, The Independent Critic). Albert M. Chan (Ghosts of Girlfriends Past, Law & Order SVU, 30 Rock) and Heidi Rhodes star in this experimental silent film about isolation, connection, and chance. 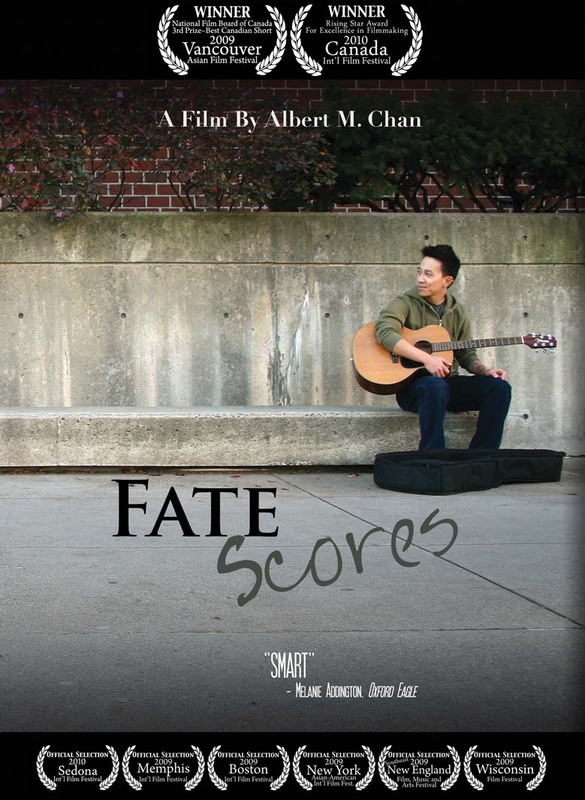 Two strangers, a guitarist (Chan) and an introspective young woman (Rhodes), cross paths at a city park bench. One by one, additional strangers join the pair on the bench - a distressed woman in a foot cast, an insecure jogger, a famished pregnant woman, an insecure businessman, a curious child with an ice cream cone, two quarrelsome women, and a dignified collector of soda cans. Amidst a whirlwind of interactions that lead to both harmony and discord, the guitarist and the young woman eventually discover they have something special in common.